My Mom’s birthday was back in the beginning of July. I wanted to make her something special, but was running out of time. 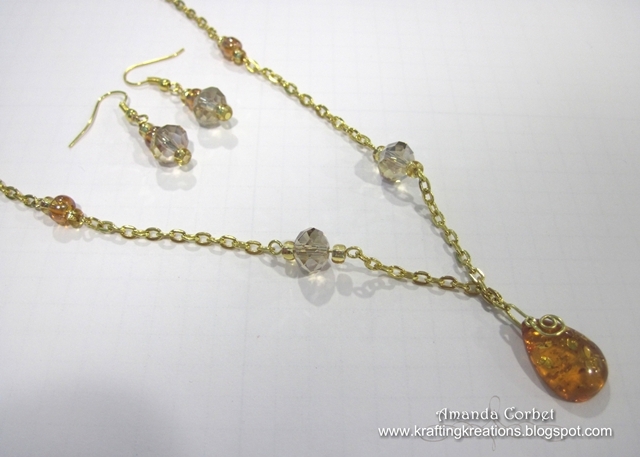 So I put together two necklace and earring sets for her. Today I’ll share the first one and tomorrow I will share the second. This is definitely my favorite of the two though. 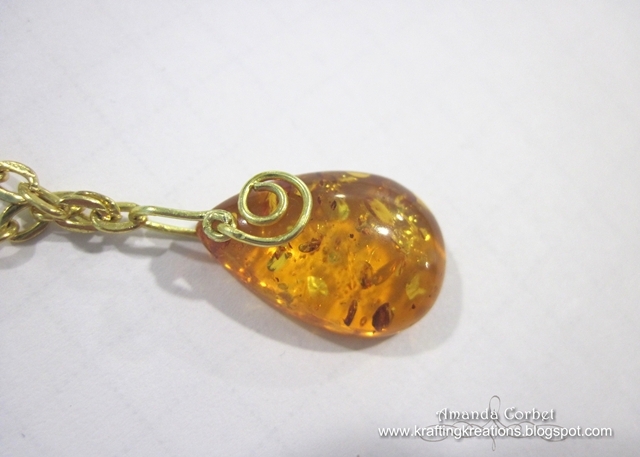 The amber pendant is made of resin and I did some very simple wire wrapping to add a swirl to the gold colored wire. 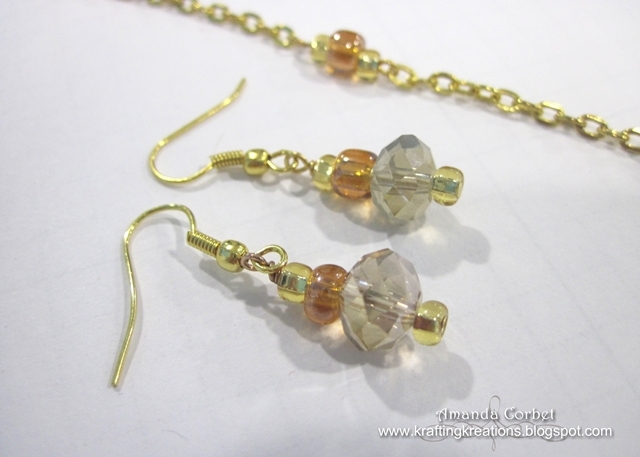 The smoky jewels were a nice addition with the amber and gold beads with the gold colored wire. 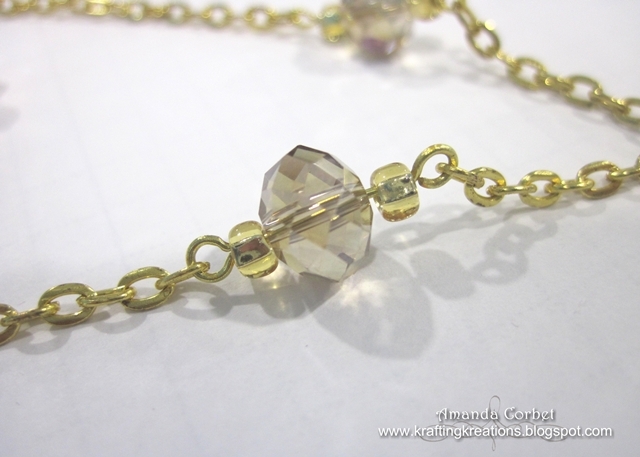 I’m thinking about making more time for making jewelry and putting some of it for sale in my Etsy shop. I’ll certainly let you know when I do! 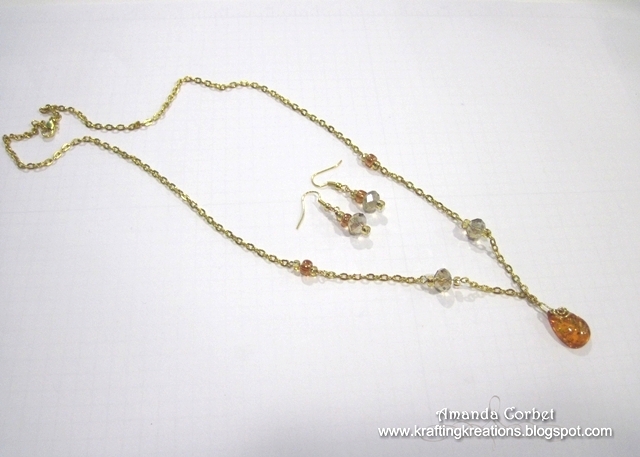 I like that it’s simple and shows off the beads. What do you think?